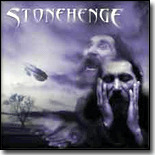 There are are variety of bands sharing the name "Stonehenge". The active one is the hungarian prog. metal band, started in 1992 by Balázs Bóta (guitar) and Sándor Jutasi (bass).After going through many line-up changes,the band currently consists of the only original member Bota, Fumio (vocals), Kyrah (backing vocals), Bertalan Temesi (bass), Kristóf Szabó (drums) and Ádám Baki (keyboards/synths). There's also a disbanded one-tape doom metal band from Poland Line-up: Mikołaj Szymborski - bass , Michał Jastrzębski - drums, Małgorzata Chwalisz - female vocal, Rafał Zwarycz - guitars, Rafał Paszkiewicz - vocal, keyboards, Rafał Nowakowski - guitars.